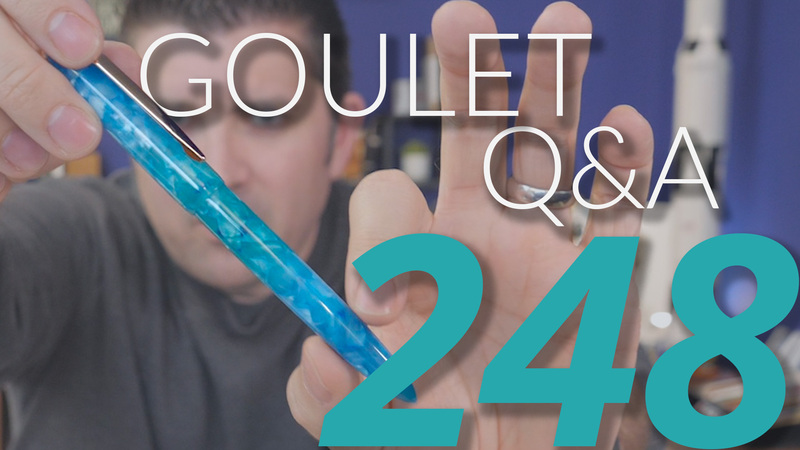 Goulet Q&A Episode 225: How Pens Should Write, Modded Flex Nibs, and Are Videos Important? 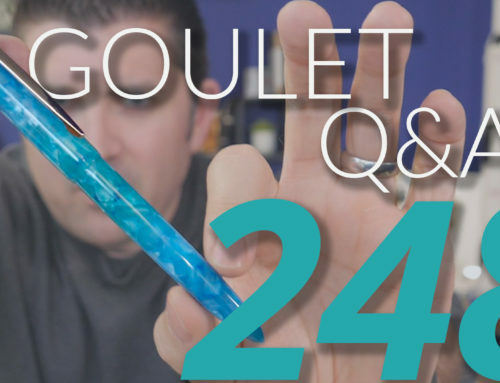 In this Goulet Q&A episode, Brian talks about how fountain pens should write when tuned properly, how nibs are modified to have flex added, and whether or not videos have been important for the growth of Goulet Pens! Montegrappa Elmo Rossi Cilegia is gone! 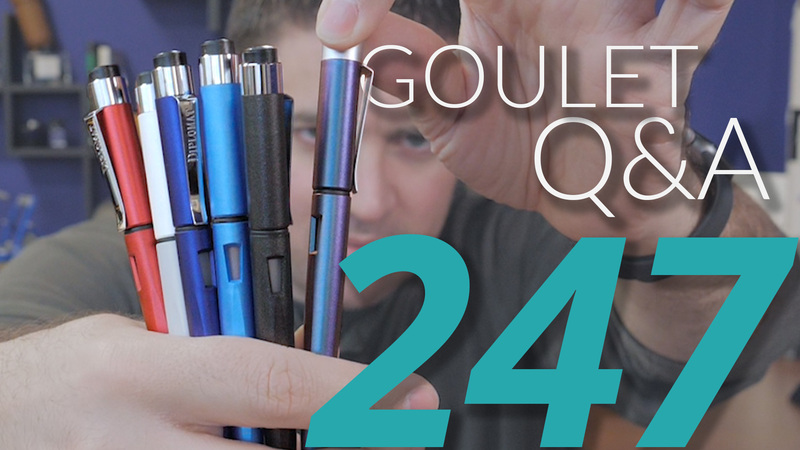 If different pen companies both use the same 3rd party nib, e.g. a Jowo #6, how much is it customized for the particular pen brand, and is that done by Jowo or the pen company or the distributor or ?? How much and what types of variation are possible or common? 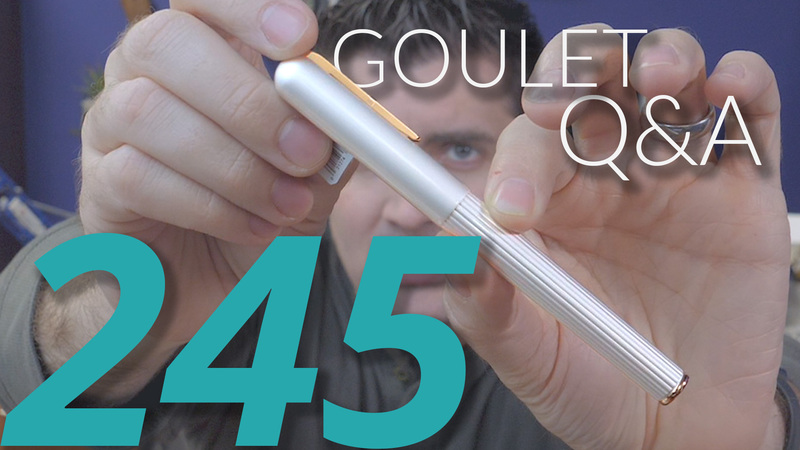 Should a pen always write under its own weight? Or is that an unreasonable expectation? sometimes nibs are overpolished from the manufacturer in order for the nibs to feel smooth, especially when they’re mashed down like when people who’ve been used to ballpoints their whole life switch over to fountain pens! Are you able to switch the nibs of the Montegrappa Elmo, or the Pineider Avatar with other number 6 sized nibs? 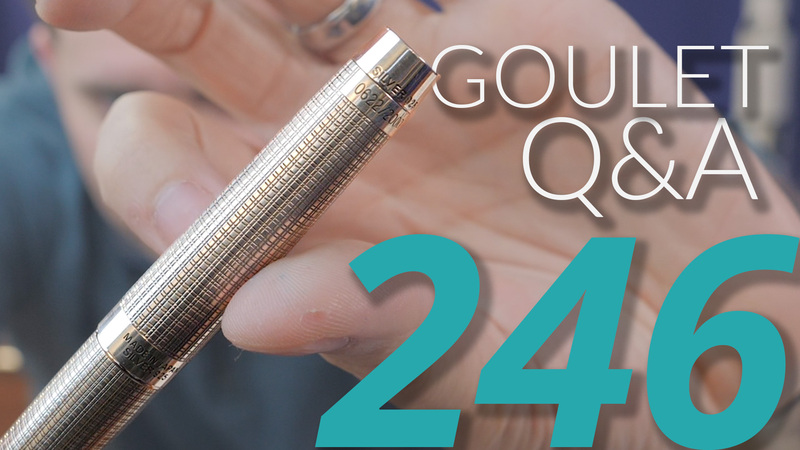 What about the nib unit, is it interchangeable with other nib units? Thanks! 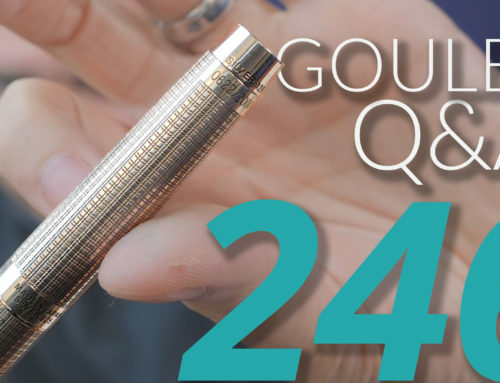 i often see videos nib mods of popular pens like the 3776 and other pens saying “with added flexibility” and they flex well then the stock ones. exactly what is done to a nib to get the added flexibility? How does one do routine cleaning of the Boston Safety Pen? I’m not talking about taking the whole thing apart for a deep cleaning after using a tough ink. Just the routine cleaning and flushing we’d do normally when changing inks. 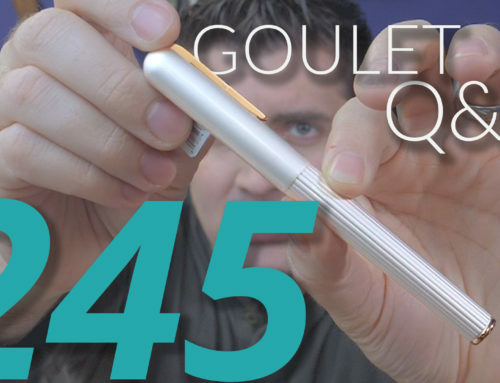 Brian, how important a role do you think the Goulet Pen Company YouTube videos and social media presence has played in promoting the business, and creating a direct communications pipeline to potential customers? video has been a growing method of communication ever since we got into this business, and we’ll continue to focus on it as long as it’s bringing value to you!